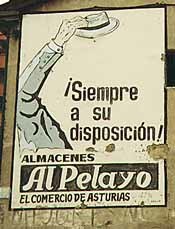 Pelayo is a boy's name. 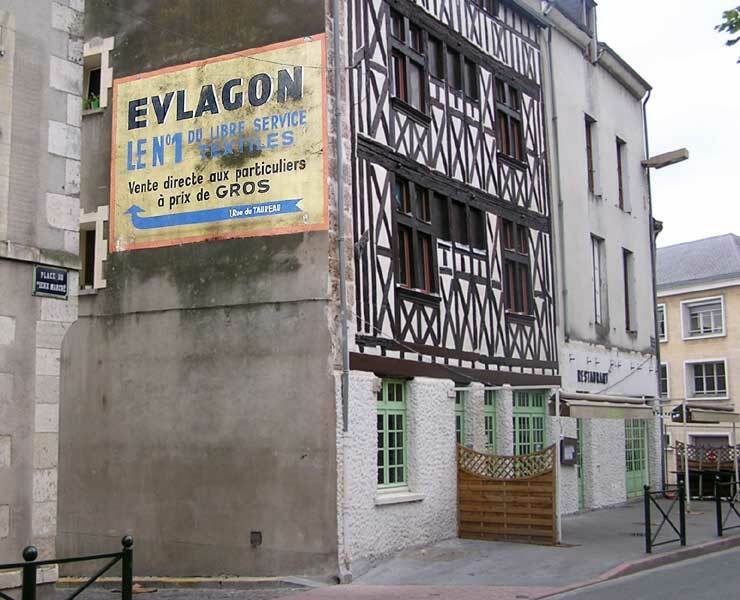 The shops disappeared in the 1970s. 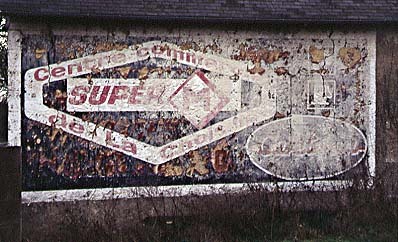 Both murals again show how a brand adapts to the available space. 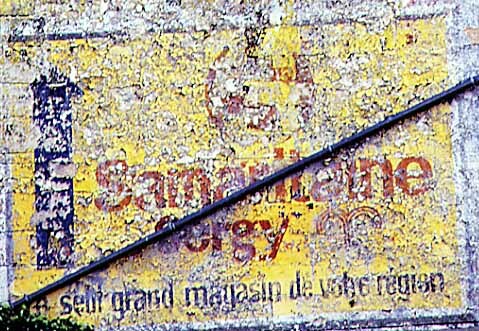 Other examples are Cognac Martell, Gentiane Suze and Dubonnet. 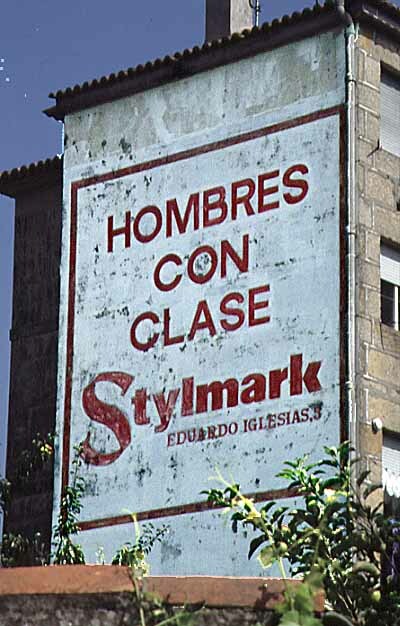 the closing exclamation point is replaced by three dots — weakening the message. It isn't a clear statement anymore. 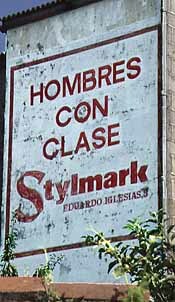 1° The shop assistant. Some old custom makes them wear a hat while on duty. But in greeting someone you raise your hat only slightly. Only on one occasion would they act as shown: when leaving. So it looks like they are telling us to come back tomorrow. 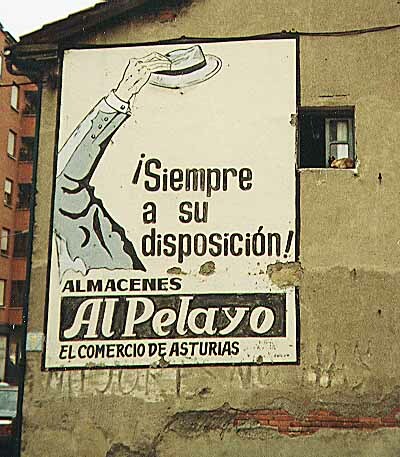 2° The shop owner. It's his warm greeting from the other side of the street and thus a bit bold. In this case it's more like an invitation. Philips uses the same text. Bottom left: The shell shows the way to Santiago. 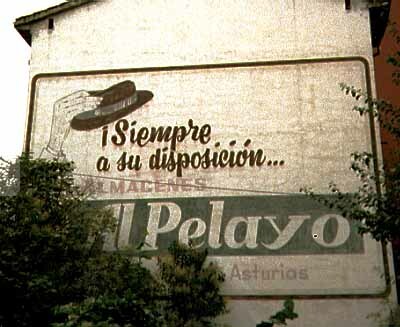 The Circulo Catolico is another classic on the Camino. 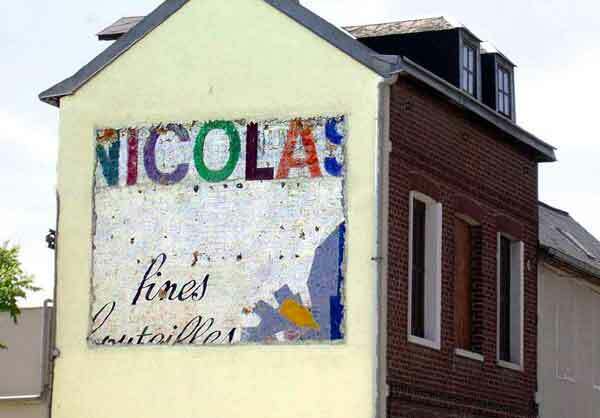 Nicolas (since 1822) is the French chain specialized in wine and liquors. They have several hunderd outlets selling good wines for reasonable prizes. 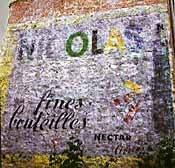 The fines bouteilles alludes to the millesimes, wines of superior quality which they propose with prizes up to several thousand French Francs. 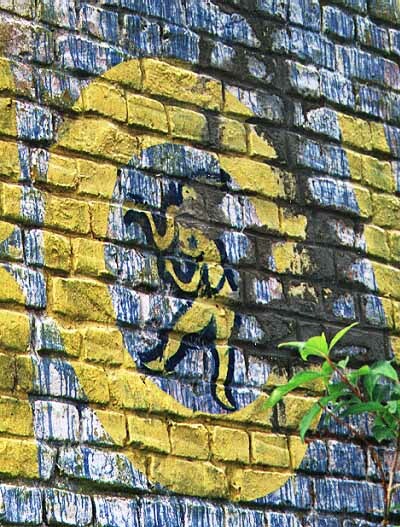 The second and third wall show a different approach with many colours and several type faces. The message doesn't change though. 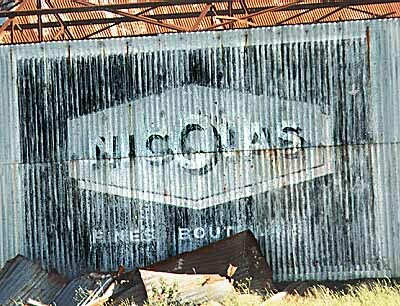 See if you can find the history pages at their site Nicolas website. 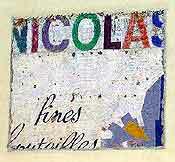 The second wall shows Nectar father of the Nicolas family and delivery man (livreur). 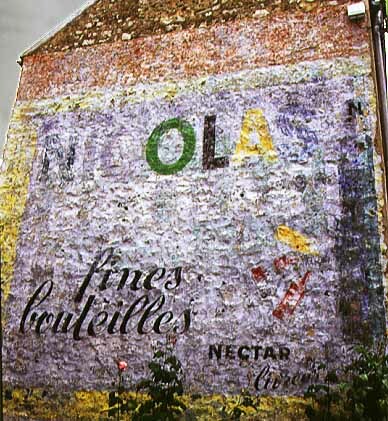 Considering the number of bottles he carried in one hand, Nectar must have been very handy. He made his first appearance in 1922. 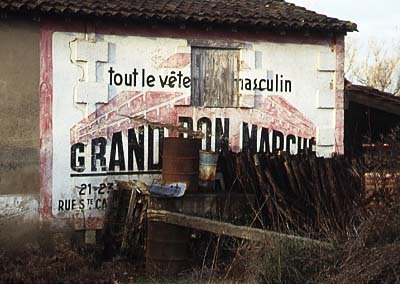 Sometimes his son Glouglou was shown helping with the bottles, but that yielded protests from well meaning people. Predictable enough, the battle was against the content of the bottles (the connection of youth and alcohol) and not against child labour as such. Don't miss the fact that the shop is located on a street corner. 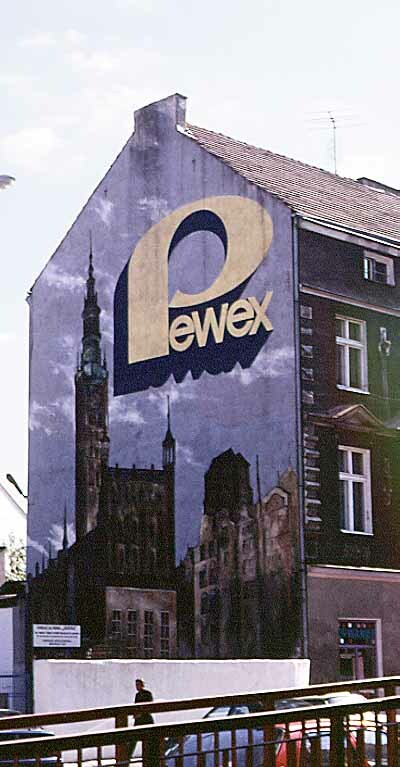 Pewex was the name for the interior export (nice new-speak) shops where Poles could buy otherwise unobtainable goods coming from capitalist hell. Only hard currency was accepted. It was a clever communist way for getting dollars from the citizen. 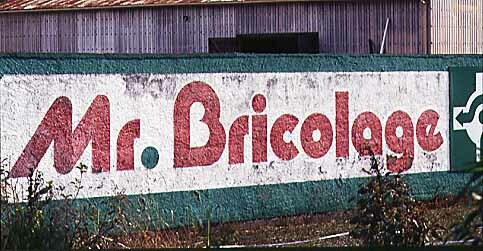 was the name of a department store selling furniture. Carrefour - 35 commerces LEROY - MERLIN Detail of the O with strange creature. 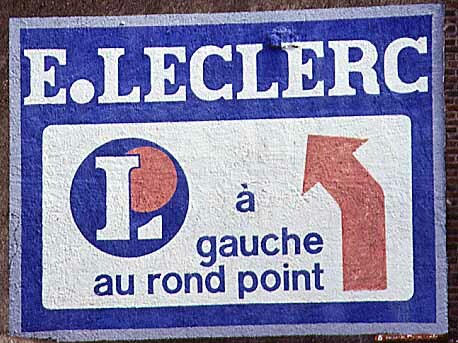 Carrefour has a website with the company's history in French and English. 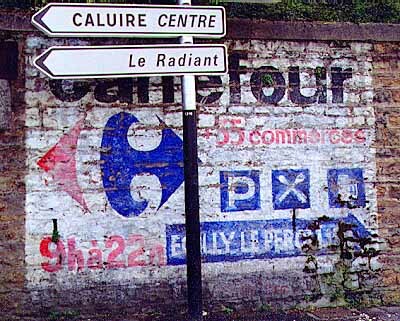 Carrefour exists since 1959. 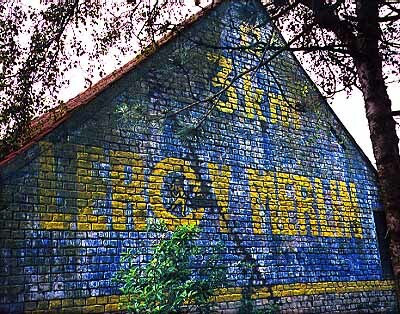 Adolphe Leroy and his wife Rose Merlin started a company Au Stock Américain in 1923. 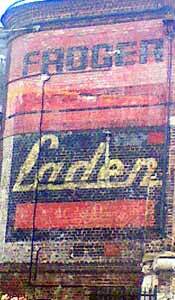 They started reselling american left-overs from the war, but soon realised the need for material for construction and home furnishing. 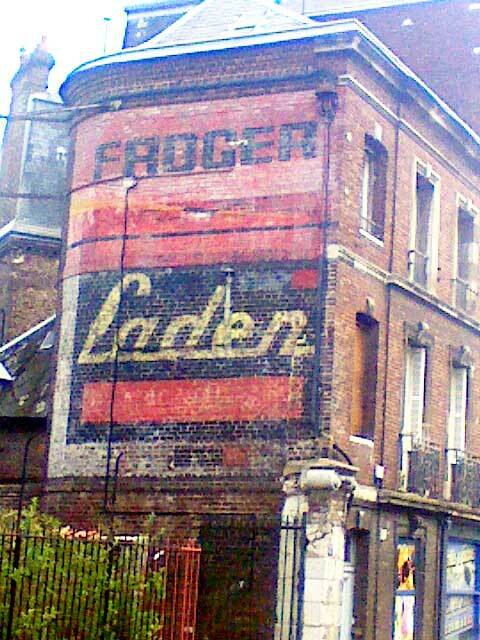 The business became a success because of the low prices and Leroy's invention of free delivery. 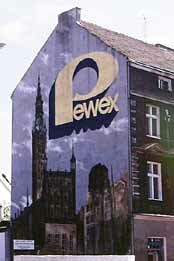 The company was renamed Leroy-Merlin in 1960. 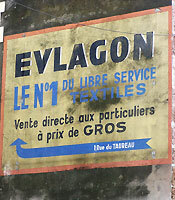 The N°1 in Textile selfservice. Dealer's prices for private persons.